Our lab applies tools from Systems Biology to study the design principles of mammalian tissues. Mammalian tissues are composed of heterogeneous cells, interacting in highly structured microenvironments to achieve physiologic goals. We seek to understand how the structure of tissues and their single-cell gene expression patterns serve to achieve these goals and how these intercellular interactions are perturbed in disease. We apply an interdisciplinary approach, combining novel measurement techniques of single cells in intact tissues with mathematical models. 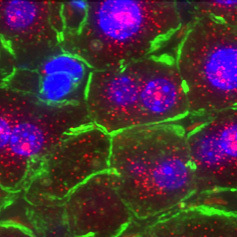 The mammalian liver performs critical functions for maintaining metabolic homeostasis. These functions are carried out by hepatocytes operating in repeating anatomical units termed liver lobules. 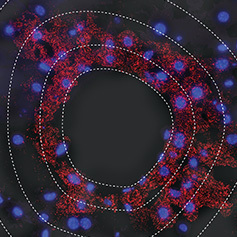 The liver lobule is polarized by centripetal blood flow, creating gradients of nutrients, hormones and oxygen, and as a result hepatocytes at different lobule coordinates sub- specialize in distinct functions. We use single molecule imaging methods and single-cell genomics to study how this spatial division of labor within the liver lobule can serve to bring about optimal tissue function. 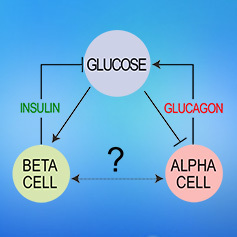 Glucose homeostasis is a central feature of mammalian metabolism. Our bodies maintain remarkably constant glucose levels in spite of vast variations in the rates of glucose influx and clearance. This physiological goal is achieved through the coordinated secretion of the hormones insulin and glucagonby the pancreatic islets of Langerhans. Inter-cellular interactions within the intact islet seem to be critical for achieving robust response to glucose fluctuations and perturbations in these interactions may play a significant role in diabetes. 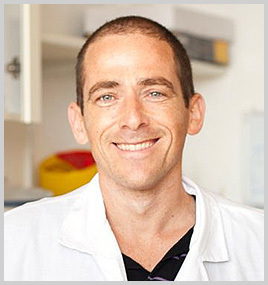 We develop single molecule approaches to quantify promoter states, transcription rates and mRNA degradation rates in intact mammalian tissues. We are also investigating the patterns of intra-cellular compartmentalisation of mRNA in epithelial tissues.